Business Case Detailed Benefits EventGnosis CEP Features OEM Support OEM F.A.Q. Large Library of Event Processing and Correlation "Filters"
The EventGnosis SOA platform is a rule-based application server. It enables you to integrate your SOA and CEP applications with your business rules by using a simple rule-editing environment. Unlike other application servers, EventGnosis SOA doesn't reqire low level technical knowledge to define and deploy your business rules. 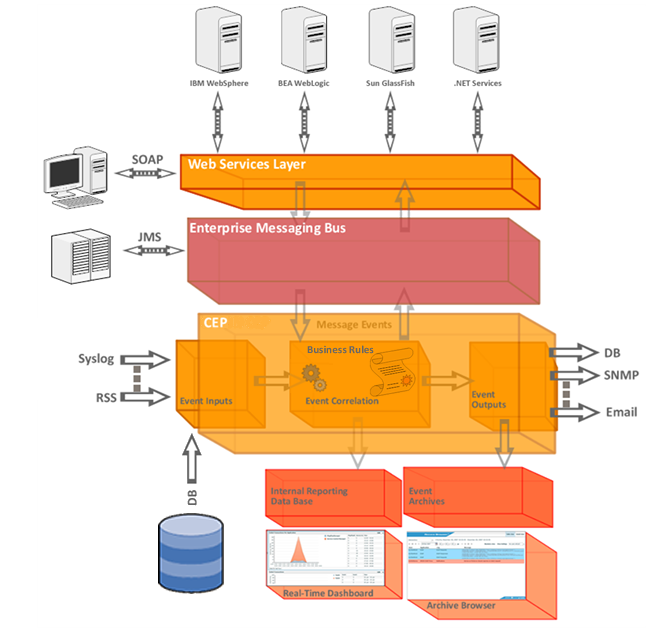 EventGnosis SOA is the solution which connects the newest trends in SOA applications (web services with a rule based server and an XML/XSLT transformation engine) with rich internet applications, a real-time performance dashboard, and the ability to communicate with legacy systems. It is compatibile with most of SOA solutions on the market like IBM WebSphere, BEA WebLogic and others. Its library of supported protocols includes: JMS, TCP, text logs, Data Bases, RSS, SNMP, SMTP, Syslog, and many more. 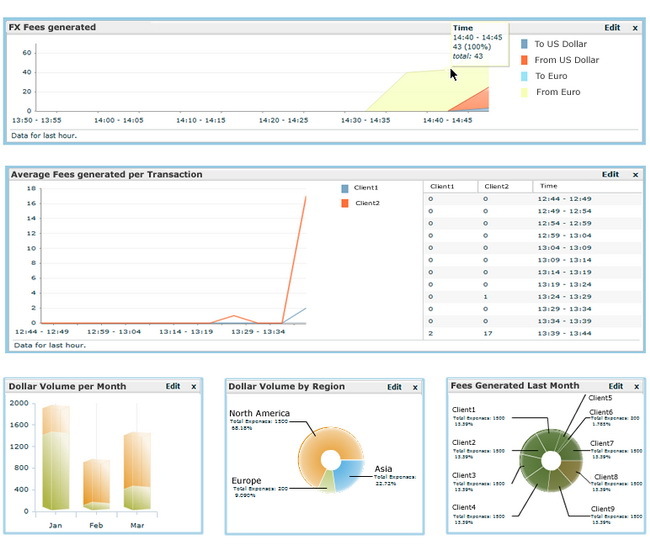 The EventGnosis platform includes a dashboard for real-time monitoring of business transactions as well as server performance. Every transaction can be logged in detail to assure service realiability and non-repudiation. proof-of-concept solutions within days. Don't wait - let us help you get results, now! © Copyrigh 2015 by EventGnosis. All rights reserved. EventGnosis are trademark of EventGnosis.